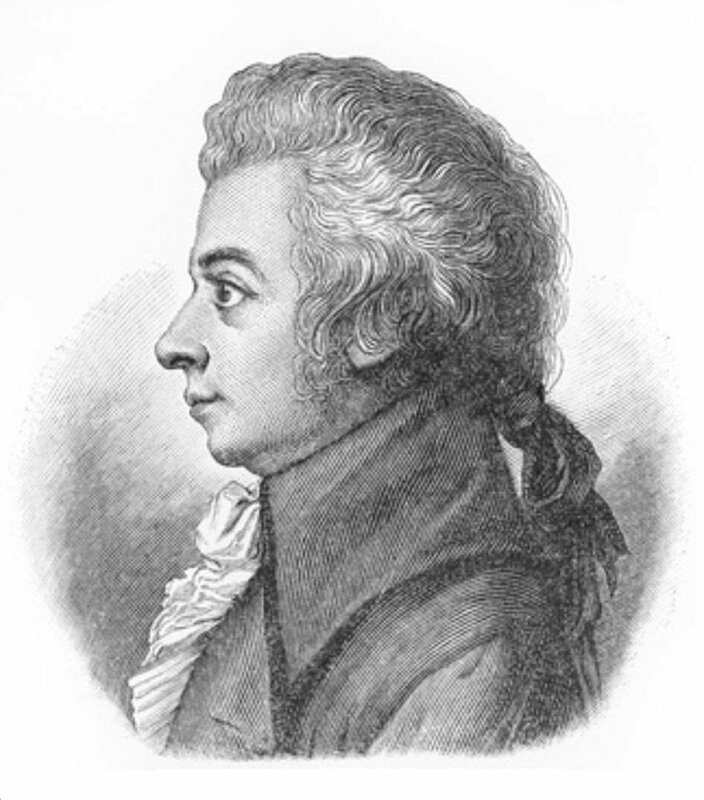 In May 1791, Emanuel Schickaneder, impressario and manager of the Theater-auf-der-Wieden in Vienna, approached Mozart with a proposal to collaborate on a new opera in the German singspiel style called the Magic Flute. It was to be a comic musical with spoken dialogue based on an oriental fairy tale. Schickaneder did not offer Mozart any commission, but promised that he would get a share of the profits from all performances after the première - a promise that was never kept despite the huge success of the opera. Most of the composition was completed by July, but Mozart was then busy writing two commissioned works: the opera "La Clemenza di Tito" and the infamous "Requiem Mass", and so the score was not completely finished until 28th September 1791, just two days before the opening night. The première was not an outstanding success. However the opera's reputation grew over the next few weeks, and by the end of October Mozart was delighted by the enthusiastic responses of the audiences, and the fulsome praise of distinguished musicians such as Antonio Salieri. However, his health was failing fast, and nine weeks after the first performance he died of kidney failure. Mozart's Overture to The Magic Flute contrasts the solemn music associated in the opera with the priesthood led by Sarastro, with the flighty and energetic music associated with his nemesis the Queen of the Night. Like many of his late compositions it is very concise in its use of melodic ideas, and quite extraordinary in its inventiveness. It is in sonata form with the slow introduction returning between the exposition and development. The allegro makes extensive use of counterpoint. It progresses with an infectious energy towards an exhilarating conclusion. A perfect introduction to the work which was to become Mozart's most successful, and perhaps most influential, opera. The Overture to the Magic Flute was performed by the Portobello Orchestra on the 24th March 2018, conducted by Sam Jones.